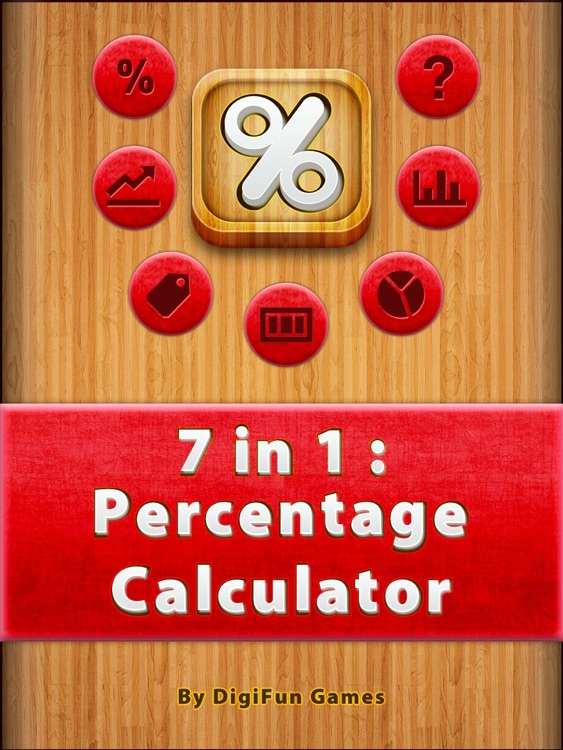 7 in 1 : Percentage Calculator HD is a quick and easy way to solve percentage related problems. 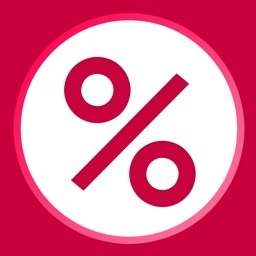 GET ULTIMATE 7 BEAUTIFULLY DESIGNED PERCENTAGE CALCULATORS IN ONE! 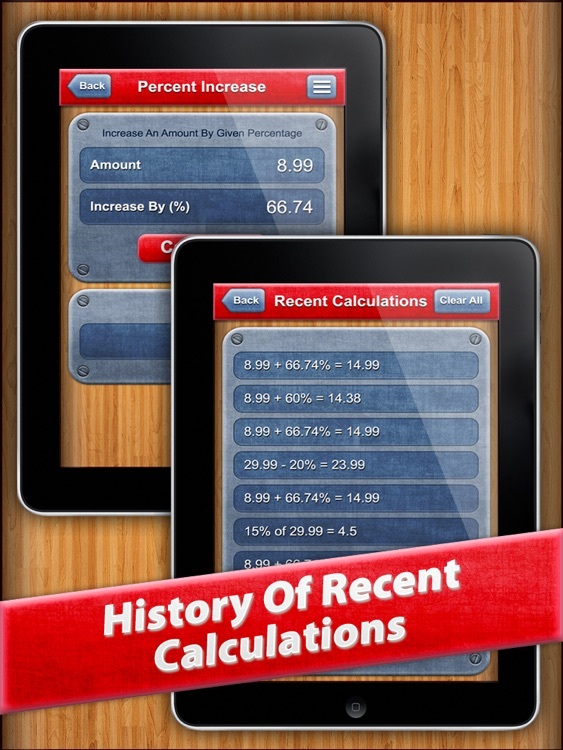 Calculations are now more quick, easy and accurate. 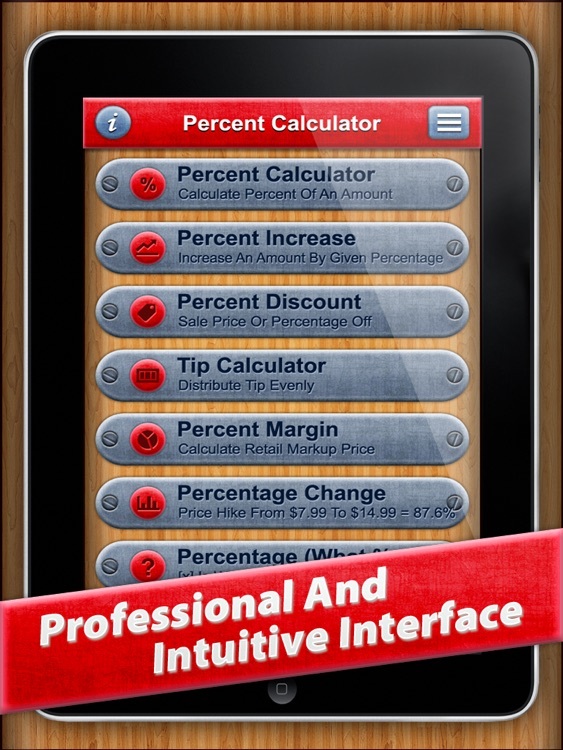 7 in 1 : Percentage Calculator HD is very useful to business professionals and students. 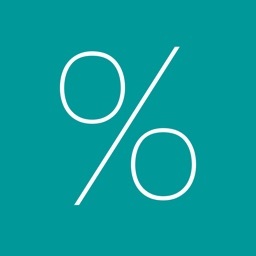 It reduces the number of steps and the time it takes to calculate percentages. 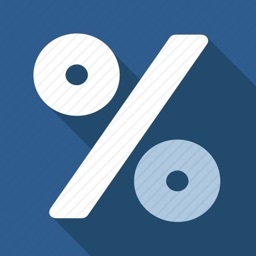 Calculate a percent of a value before and after, or find the percentage change between two values, and see how to calculate each one. 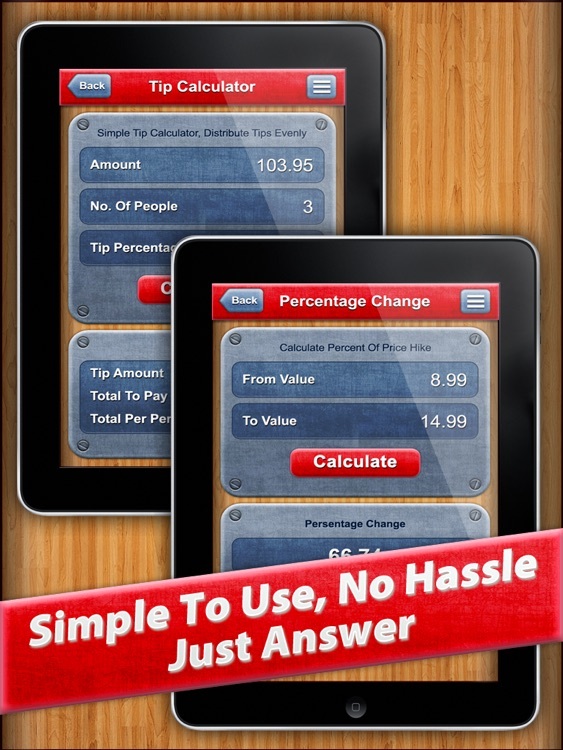 "This app does what it says it does, and does it quickly and easily. 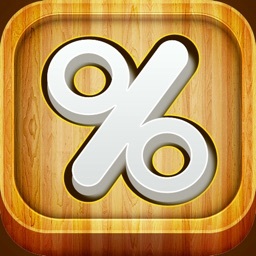 Great little app!" 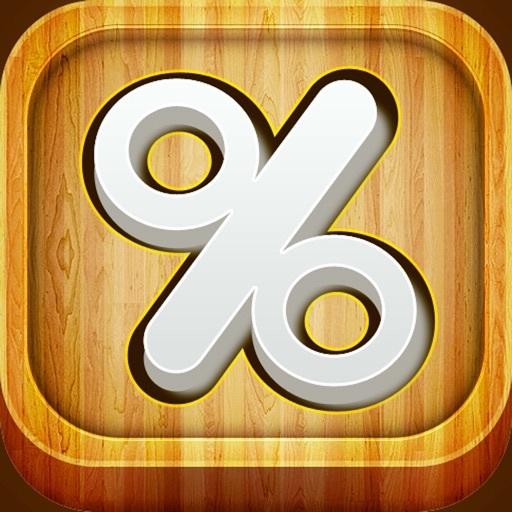 "It is a very useful app. 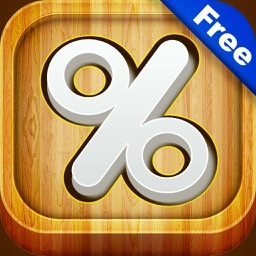 Thanks"
"Works great on my IPad 2!! Very handy"
Feel free to contact us with feature and update suggestions.